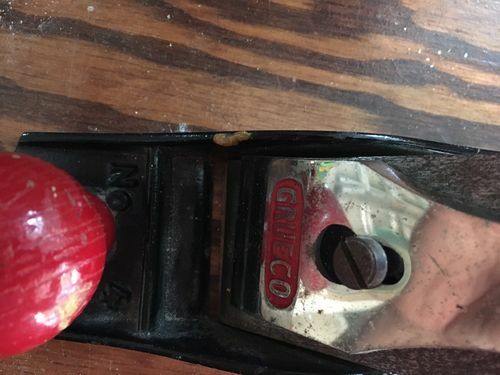 Please help identify this Grueco Handplane! Bought a few hand tools from an elderly widow down the street. 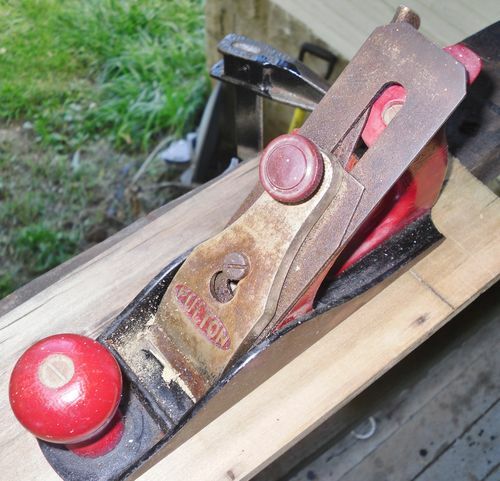 Amongst them was this “Grueco” handplane. I have tried many google searches and cannot locate much detail at all about it. I believe it’s German. I’m just looking for any information at this point, including approx age, model #, history, value etc. Anything is appreciated, and thank you from Canada. than any other off-brand #4 plane. in just about every country at one time or another. Most were never imported to N. America. Bought a few hand tools from an elderly widow down the street. Amongst them was this “Grueco” handplane. I have tried many google searches and cannot locate much detail at all about it. I believe it s German. My German is so rusty that few on this forum would try to restore it, but “Grueco” would be an odd spelling for a German brand. 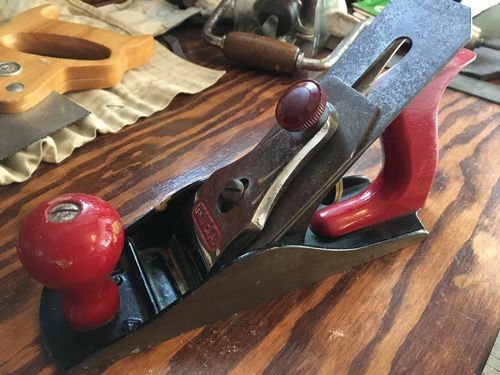 I’ve seen that type (characteristic) of capscrew before… it’s very similar to an adjuster that’s on a block plane I have. So they may be related. Chances are slim, but will check tonight. I am appreciative of the replies. It does look very similar to the Este and Fulton. Seems to be in really good shape overall which is nice. I do know it’s never been restored, so it would all be original. Very interesting though that no one so far has any real knowledge of the Grueco brand. Perhaps someone brought it back from an overseas trip or brought it with them to Canada during a move. No idea where this fellow happened to acquire it, although he did frequent auctions. If you google “Grueco hand tools” there is reference to a saw made by the same company which was German, hence my hypothesis about the Germany connection. Nice answer, Bandit. That’s what I was trying to recall as well. The Metric irons were stamped Made in W. Germany, if that is any help. Yes, the irons were metric in width.